... I finally stopped to add up all of the money I had been spending on advertising my web site. Fifty dollars here, a hundred there; pretty soon it had become a substantial amount of money and I wasnt seeing much in return. 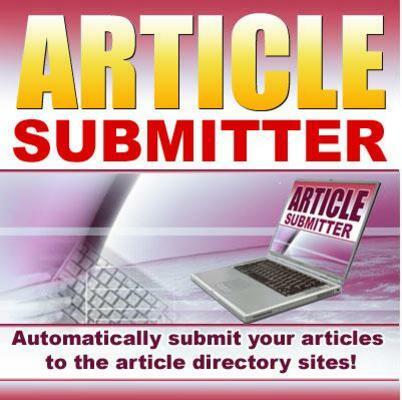 On top of all that, I was pouring more than I care to even think about into Google and Yahoo ads.. Thats why I created Article Submitter! You see, like many of you I had read all of the Internet marketing how to books, and I had become convinced that it took money to make money. Those books told me that I had to buy ads in the major search engines, rent e-mail lists and pay to insert ads into e-zines. So I clicked on the links to the programs that they recommended and I spent and I spent and I spent. I did EVERYTHING that the Gurus told me to do and I ended up spending more than I was making. I felt deceived! My name is (your name) and until very recently I was guilty of blindly following the advice of so-called professionals who seemed to know how to make the big money that I was missing out on. ... many of these so-called Gurus actually were making all of the money that they claimed, but they werent making it selling products. They were getting rich by convincing everyday people like you and me to click on their affiliate links and waste our money buying advertising that we really didnt need. They were getting fat off of our money and, honestly, there werent too many who really cared if what they recommended worked or not. They only cared about their mega affiliate income. So the day came that I decided I was going to stop making other people rich and start investing in myself. I went to Google and typed in the phrase free Internet marketing advice and I hit the jackpot! I found hundreds of articles about Internet marketing tips, trick and tactics and it didnt cost me a penny to buy any one of them. They were FREE. And thats what got me thinking..
Why in the world would so many people spend so much time writing free articles and getting them distributed all over the Internet? I didnt just concentrate on marketing phrases either. I love to enjoy and work on my backyard pond, so I searched on the phrase water gardens and hundreds of articles came up. I then searched on the phrase restoring classic cars and thousands more articles came up. I noticed that each of the articles in these repositories pulled up Google AdWords when your read them. Ah ha!, I thought. The article site owners are making their money from the Google ads, but thats not helping the actual authors. It wasnt until I reached the part of the article known as the Authors Resource Box that the Aha Ha light really went on and it hit me smack between the eyes! Because the articles werent actually paid ads, people were reading them from top to bottom and then going to the Authors Resource Box to click on the link to the Authors web site. Once they reached the Authors web site they invariably found something for sale! Since the person reading the article was already convinced of the Authors expertise in the particular subject, the chances were better that a sale would take place!